‘Tis the time of year that my CIO customers are starting to get itchy to try new things. The kids are out of school and greener pastures beckon. They keep asking me where they should be looking for their next CIO job. Is there any industry that will truly appreciate the value that a skilled CIO can bring to the job? It turns out that the answer is yes and right now I’m recommending one industry in particular: energy companies. In order for a CIO to be fully appreciated by their company, the company has to have a real need for their services. At this point in time, energy companies fit that bill – they are facing significant IT challenges. The first thing that CIOs need to realize when they start to consider working for an energy company is just exactly what an energy company does. Yes, generating electricity is a big part of the company’s job. However, there is a lot more going on. Energy companies buy and sell energy and energy futures. They spend a great deal of time and effort planning how they will generate energy in the future. All of these tasks require a lot of data. Only now are energy companies starting to deal with just exactly how they are going to both store and access the large amounts of digital data that they need to more accurately perform their jobs. Since energy companies are performing tasks that other firms are also doing, benchmarking is a very valuable activity. The CIO is needed in order to implement ways of performing ongoing benchmarking analysis with multiple other firms. Finally, we are entering a new era of the smart energy gird. This means that sophisticated two-way meters are being installed in homes and businesses. The amount of real-time data that energy companies are going to have to process is getting ready to skyrocket. The CIO is going to be needed in order to create solutions for dealing with these new challenges. So now let’s get down to the nitty-gritty: why am I telling my CIO clients to look into CIO jobs in the energy industry? The reasons are actually pretty simple. It all starts with the fact that the energy companies get it – information has become the ultimate competitive advantage and the CIO holds the key to providing the company with the information that they need. In the world of energy companies IT really matters. Instead of being told what has been decided and asked to implement it, the IT department is being invited to the strategy table and their inputs are shaping what the company decides to do. A recent study of energy company organizations revealed that 20% of CIOs in this industry report directly to the CEO. Additionally, 5% – 10% of the other firms are moving their CIOs up the organizational chart each year. Although the numbers aren’t wonderful, they are a lot better than in other industries. Finally, the Stuxnet virus that attacked the Iranian nuclear industry was a wake-up call for energy companies everywhere: it could happen to them. They are now all turning to their CIOs in order to be told what they need to do in order to keep their IT systems safe and their ability generate energy on-line. The CIOs that I spend my time helping all too often feel overlooked and underappreciated. When they finally get fed up with the CIO job that they have, they ask me where they should go to look for their next CIO job. I tell them that the energy companies are the ones who currently appreciate what a good CIO can do. The reason that energy companies love their CIOs is because they have specific needs that only the CIO can help them with. These needs include securely storing and efficiently processing the mountains of data that are needed in order to determine how much it costs them to generate a kilowatt of energy. 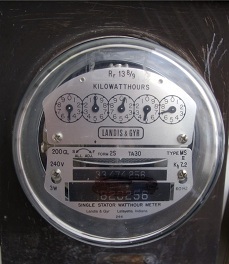 The arrival of the smart grid and smart meters has caused the data that an energy company has to process to skyrocket. Finally, security has become a constant topic of conversation as the importance of the national power grid has only recently started to be understood. CIOs are people too. Just like everyone else they desperately want their work to be appreciated. This means that they need to work for a company that has real IT needs and will support them as they solve those needs. It may not be the case forever, but for now energy companies are a great place for CIOs to go looking for their next job! Question For You: What is the one CIO skill that you think an energy company needs the most?